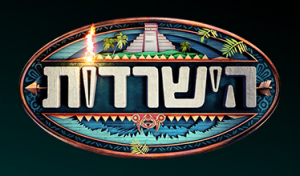 Israeli reality show Survivor filmed in Palawan, Philippines for its 8th season is now being aired twice a week in Israel on primetime TV. Travel company Flyeast Philippines, a satellite branch of Flyeast Israel and a member of the Israel Chamber of Commerce of the Philippines, is a Major Sponsor of the show. The company assisted the crew and helped coordinate the program’s activities during the location shoot. Season 8 features “The Island of the Dead,” a segment of the show where contestants voted out are thrown into a secluded beach. They would compete for the chance to return to the main island and go back into the game. It also features a “Negotiation Cabin,” where a representative from each tribe negotiates deals with other representatives for the allocation of supplies or switching of members. The Philippines, particularly Palawan, is increasingly becoming a favorite location for reality shows. Palawan’s pristine beauty and remote virgin islands make it the perfect spot for programs like Survivor, which rely on nature and off-the-beaten-paths for marketability. The current season’s show is creating a buzz in Israel because of the wonderful shots and scenic views of El Nido. The Israeli Survivor (formerly Survivor 10) franchise is not a stranger to the Philippines. This is their fourth time (season) to film in the archipelago. Seasons 3, 4, and 5 were shot in Caramoan, Camarines Sur, in the Bicol region. The producers of the current season chose El Nido in Palawan as their destination. The Survivor franchise is known the world over. Other foreign franchises of the show choose the Philippine islands from time to time for their season sets. The contestants compete for immunity from elimination and rewards for themselves and their tribes. They must also seek to provide food, shelter, water, and fire for themselves throughout the show. They are progressively voted out of the game until one truly deserving survivor remains.